Located 30 minutes from Manhattan, Summit is a major hub for transportation. Its open spaces and abundant trees make Summit real estate a wonderful investment in the lifestyle of your family. Parks, recreation, arts and culture all abound within the community. Fine shopping and outdoor dining as well as events and markets happen in the downtown area. With an aquatic center, nine-hole golf course, fitness center, running tracks and a variety of sports, the local community offers something for every age. Art galleries, shops and performances bring visitors to Summit and enhance the quality of life. Culture is promoted, and the Visual Arts Center of New Jersey is located here. With much to do in Summit and the support of the arts, some residents live in upscale properties such as a restored Georgian colonial on the North side. Homes in Summit range from estates from the 19th century to custom designed single family homes. 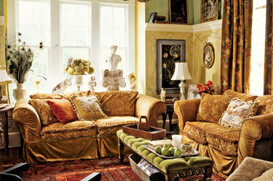 CIRCA: 1930 offers beautifully restored luxury and fine craftsmanship in their distinctive homes. New construction in the colonial style is found at CIRCA: 2012, also on the North side. With four fireplaces, fine craftsmanship and an abundance of amenities, fabulous entertaining and relaxation are the call. With five elementary schools, one middle school and one high school, the Summit Public School System will serve your children well. Included schools are Brayton, Franklin, Jefferson, Lincoln-Hubbard, Washington, Jefferson Primary, Wilson Primary, Lawton C, Johnson Middle School and Summit High School. All have been given high ratings for their fine educational programs. Three private and parochial schools add to the list of schools in Summit: Kent Place School, Oak Knoll School of the Holy Child and Oratory Preparatory Schools.